They all talk, talk talk about being prepared for greatness! I say, You are pre-packaged greatness. No preparation needed. 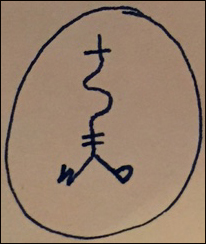 channeled message received from Oliver on 7/2/18 at 10:40 a.m. PT US. 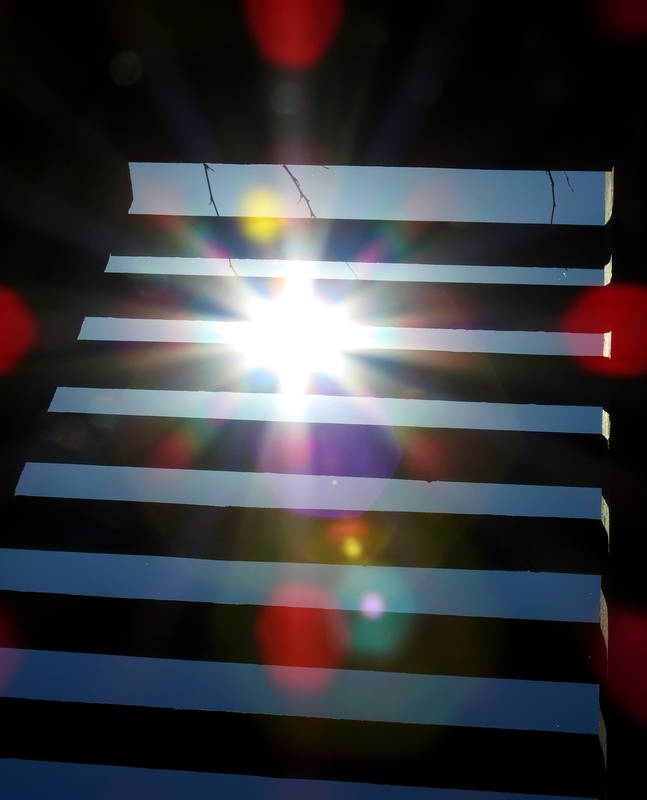 Sun shining through planks of an overhead trellis on the front porch. for larger view, click image above, or click here. The hills are alive with the sound of music. Richard Rodgers and Oscar Hammerstein wrote those lyrics nearly 60 years ago to the title song of the 1959 Broadway play by the same name, The Sound of Music. 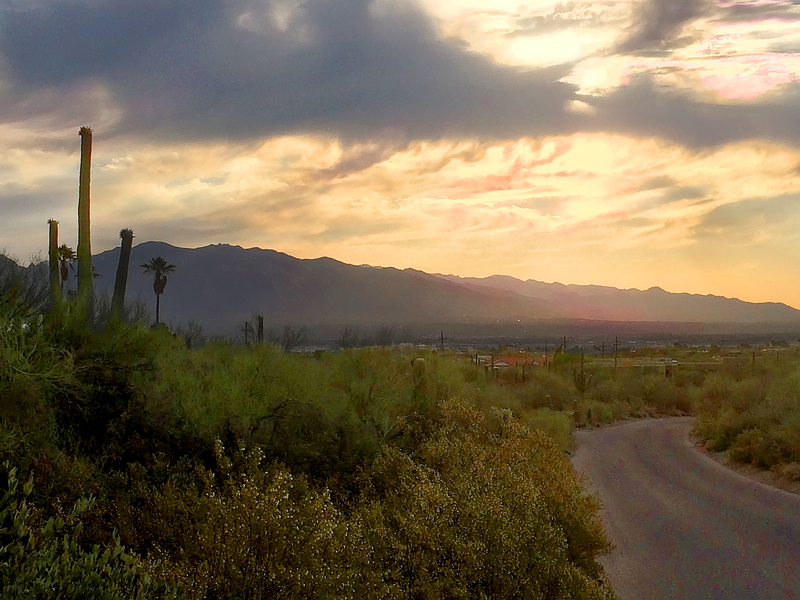 I’ve walked the paths, trails and gravel roads of Old Tucson, AZ, along the wall of a canyon with a bit of a mountainesque attitude of perception. He and his friends out here along the Catalina Mountains and part of the Coronado National Forest introduced me to the magick in the quiet last week. The oh so much music of the mountains. “Words? What do we need them for? They only muck up the mix. What function of genuine value do they play anyhow? Really? Labels? An archaic method of communication?” The basic message of last week’s blog article Words, right? Intuited from connections with whatever, I tried and tried to write and rewrite last week’s piece. I couldn’t get there. All I got was the channelled word “Words,” and that photo. So, I quit writing, went with instinct, left the one word message given, Words and the abstract, happenstance photo asked of me by the energy sourcing around me to be posted. Nothing more. “Listen. . .” expressed in a way other than with W-O-R-D-S, as they pulled their energy back, collectively, positioning it to…, to… hit me with their best shot. From there I could hear what felt like everything begin to whoosh around and by me. With so many hills, mountains, canyons, and a valley the size of a southwestern City, I heard things that didn’t seem natural. From there the world sang, literally! For the first time I got the meaning of the lyrics of those, and so many with similar sentiments. I was experiencing it. First hand. Not some scrubbed, sanitized, formalized, anythingized. Just me, and the soft sounds of the indescript resonating in a spacelessness where it begins and ends, Teeters. Totters. Ebbs. It reminds me of the sound of crickets singing when slowed down. Literally a choir going on. No one needs to tell me the choir isn’t there, it is that we just forgot how to perceive it. (see video below/rt). no human voices. highly reduced speed in replay of cricket’s singing. Point: I did… AM hearing all sorts of sounds and vibrational patterns bouncing off and around this more natural and unique terrain. I hear songs, conversations, negotiations, brilliance of kinds I can only describe with words. Those pesky, limiting, distractors of miscommunications – the syllabled word! Yet I do hear stuff that isn’t actually there – in plain sight. It may be miles away, carried over brush and rocks and prickles between here and wherever “there” is. It may be angels singing to God simply because it’s Monday. Some are choirs I’ve never heard before. Others more orchestral. I’m sure the locales would have a story or two about what they hear, see, and generally sense out here at the top of God’s earth, looking down into one of its valleys. I’d say for about 7 years we went through this ritual. 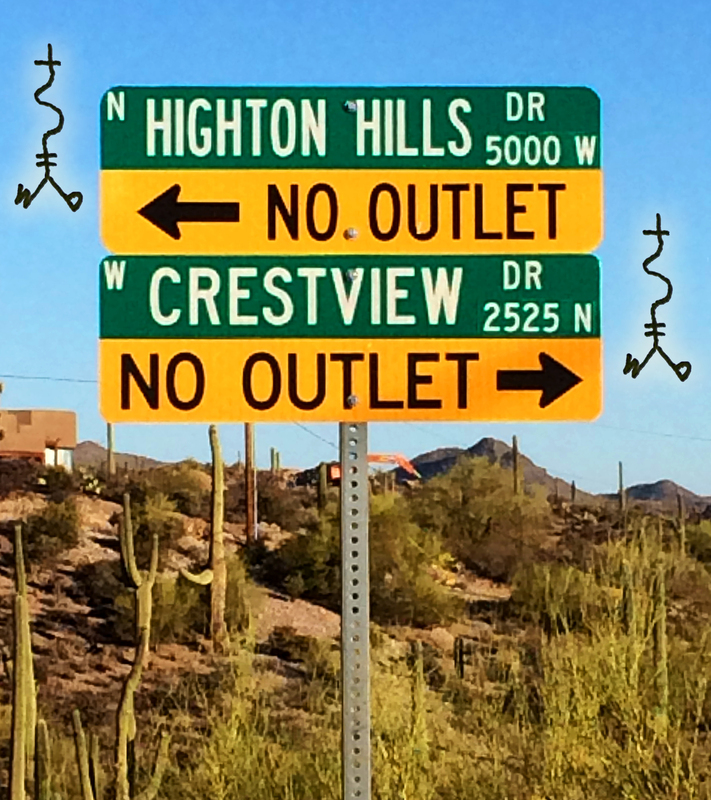 Sign a mile+ up the road at highest possible public part of canyon hills. “Kid, ya know I work in the City for the lawyers and the jobs with money are there. I relented. Leave, or be left by my current firm. Refuge in the apartment or house, near New York City where we were living. Plotting my next moves to work with this person or that small start-up, or one of the seemingly endless projects I’d think up to do with my special creativity. Working towards greatness and a future for my son. Then he came back a few months later. Mooommmmyeeey-eeey. Pleeease go back to work! Kid, ya know I work for us now and it will take awhile for things to feel the same again. I relented. Leave, or be left by my home. Returning to that next corporatized minutiae’ed pre-packaged world of the NYC game of law long enough to be on my way to the next. Ping! Pong! Two worlds. Fiercely driven. Plotting my next move to create that product or service to launch me off the game board and into the unknown beyond the law with whatever was guiding me. Working towards greatness and a future for my son. My son the actor extraordinaire. Me the kick ball on the teeter totter. At the seven year mark, one day, I just woke up and saw it. I saw the cycle outside of myself as if that observer they all talk about. It did’t matter what I did, he was never going to be happy. It was an issue, though, that I was grateful for, even though it took many years for me to hon my skills as a ticket holder to this fabulously acted play. Why? Because I’d never had the advantage to see my son’s actions from the angle of stage performance before. Once I saw I wasn’t exampling compassion and sacrifice, I showed it further still by learning this lesson taught by the quiet of the canyon in that place of no words where the sweetest one’s doth speak. What I do know is the sun is shining through planks of an overhead trellis on the front porch of the ranch here in southwestern US, and the crickets are but one in an audible choir of communications between the elements and the non that sing with such Grace around this joint. All you need do is sit down and listen with the language of frequency. Start with sound. When you begin to hear that which is not, yet is, whatever that may mean for you, then you know the fact that you are is a sign that you live in a cross-collaterilized, multi-dimentional time-reality expression. Note: Banner / Blog page placeholder image is of the canyon range known as Mt. Lemmon, shot from the Highten Hills range home area. To view the full-sized image click here.